A nice mix of bonuses for you today, the highlight of which is this new Raffles Hotels stay bonus for Cathay Pacific Asia Miles members. 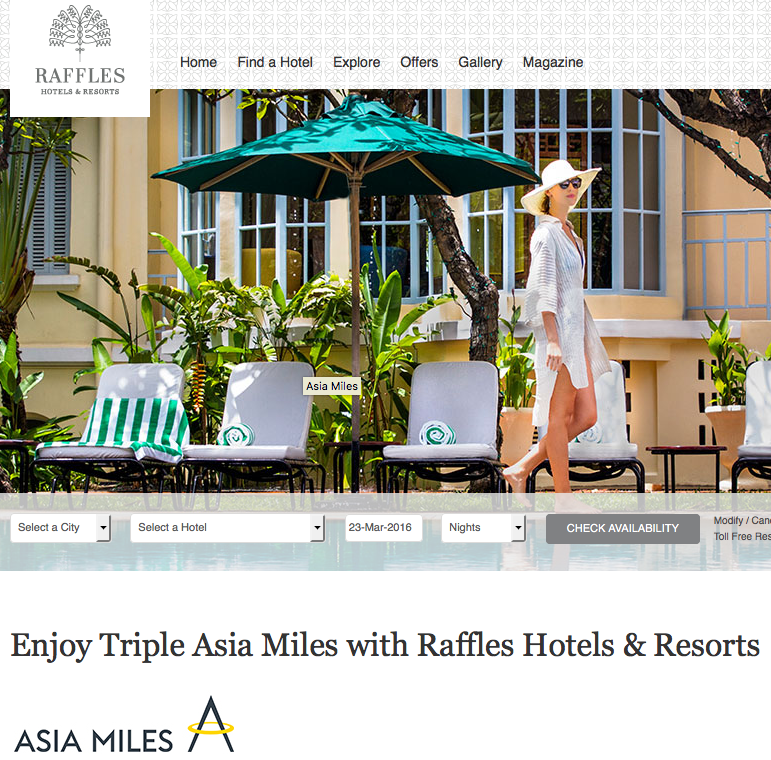 You’ll earn triple miles on the B&B package at participating Raffles properties around the globe. Other bonuses added today you should also check out are Choice Hotels buy points bonus, Hilton HHonors buy points bonus and Ethiopian’s discounted Sheba Miles award ticket offers. and/or Harare on Ethiopian Flight 893. More… Until ?